Shut up and take my money, Lumio. Just shut right up and take it. Jesus! Has there ever been a more Boing Boing lighting product? I would like ALL OF THE THINGS on this website: hellolumio.com. Minis are $125, larger ones are $190, and you can do customized lamps for a higher price. They look fantastic. 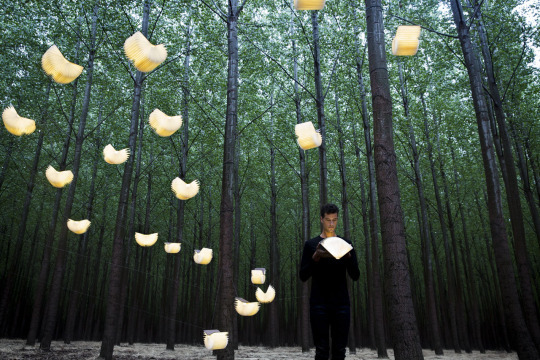 Lumio is a dynamic, multi-functional lamp that conceals itself in the form of a hard-cover book. Lumio opens to 360 degrees and comes with a custom orange micro-USB charger, magnetic wooden pegs for mounting, and a beautiful leather strap for hanging.